Some might glance at that list, and wonder why they should bother going to the movies. Where’s the tension in “Zero Dark Thirty” when you know it ends with the death of Osama bin Laden? Abraham Lincoln successfully quashed slavery, so where’s the thrill of “Lincoln”? 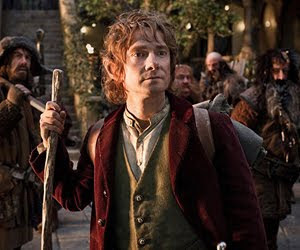 Bilbo Baggins picked up the One Ring and was still alive during “The Fellowship of the Ring,” so why should we worry? Shouldn’t we go into a story and be surprised? In this 21st century of innovative consumption, it may surprise you to know that in the deep, dark past, no one ever fretted about spoilers or twist endings. The epic stories that were told over and over again were ones people already knew the ending to. In fact, that was the whole point. You knew the Greeks got into Troy, and you sat down to listen (or, once they sorted the whole “writing it down and letting you have your own copy” thing, took it off your bookshelf) precisely because you did know who lived, who died, who won and lost. The joy was, as corny as it sounds, in the telling. Each storyteller had their own version, and it was the individual flourishes they put in that made it worth hearing. The same goes for a film in the 21st century. New stories and surprise endings are awesome, but a predetermined ending can be just as exciting in the right hands. In fact, a film can be more tense if you know the tragedy that’s looming ahead. Take “Titanic,” for example. We know the ship sinks. We know Rose survives, and we can probably guess Jack dies. But we don’t know anything about Jack, or how she meets him, or what pushes their romance. We never forget that iceberg is looming, and knowing it’s out there makes us a lot more fearful about the time our lovers have, and what’s going to happen when the ship goes down. There’s also a sweaty anticipation to getting to such an enormous event, and actually getting to see it reenacted, and that can be as nerve racking as not knowing. Steven Spielberg’s “Lincoln” also plays heavy on the historical heartstrings. We know the 13th Amendment passed (hint: we no longer have slavery) but most of us don’t know how, giving the back-and-forth a lot of snap and tension. There’s also the tragic fate of Abraham Lincoln himself, and knowing it’s there, hanging over every interaction with his wife and children makes it all fraught with drama. You worry every time he goes to the theater, afraid it’s going to be the last time, and wondering when the assassin is going to sneak up on him and us. If you’re skeptical — or avoid historical flicks like the plague — ask yourself why you seek out a big-screen adaptation of a book you already read, loved and reread. Isn’t the excitement in seeing it brought to life through the embellishments the director and actors add, making it impossible to see any other way? We knew Katniss survived (heck, we knew reading it) but it didn’t make “The Hunger Games” as a film any less thrilling. We’re compelled to go watch this Anna Karenina hurl herself under the train because no one quite knows how Keira Knightley is going to get there, or how many gruesome details Joe Wright might add. Life isn’t going to work out for Fantine in “Les Miserables,” but it doesn’t stop us from getting caught up in her downfall and crying with genuine despair. If anything, prequels and reboots offer far less apprehension than a well-done spin on history. We knew “Prometheus” led to “Alien,” so every shadowy corner seemed a lot less scary than it might have otherwise. We know Spider-Man will become Spider-Man, so must we watch Uncle Ben die again? As terrific as the “Riddles in the Dark” sequence in “The Hobbit” was, didn’t it play a little fast, as if Jackson knew — as we did — that Bilbo already had the Ring the very first time we met him, so let’s get back to Wargs? So, don’t fear going in knowing what will unfold. Enjoy the ride, and recognize it can be a lot more nerve-wracking if you can see the hill you’re about to spill over.